When we bench test Blue Rose / IQ M300 amplifiers, we use sine waves, as this is a quite severe torture test for almost all amplifiers. The stress on both the power supply and the actual amplifier is far greater than with music or speech. We use pink noise to simulate the spectral distribution of music. For the technical, in theory, pink noise driving the amplifier to clip occasionally is about the same as 1/8th power via sine waves. The power spectrum of pink noise. 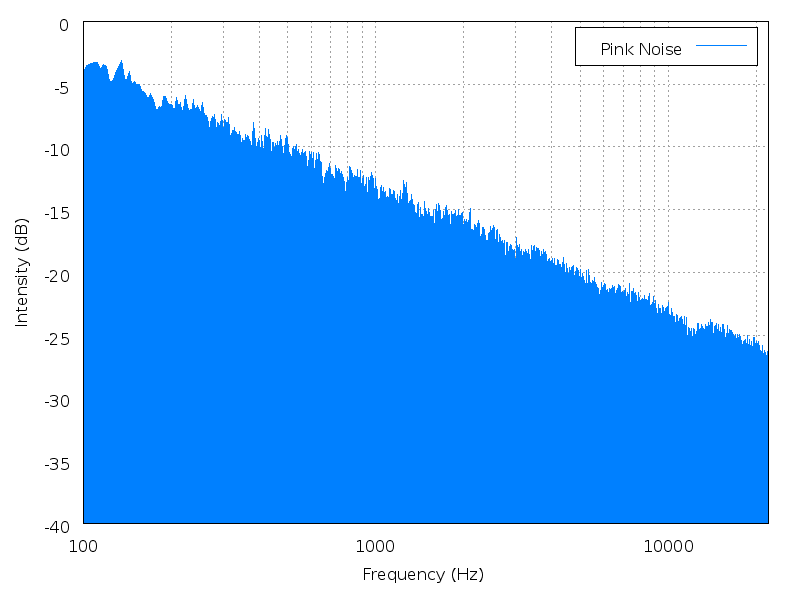 Power density falls off at 10 dB/decade. It is worth noting, that when playing certain types of music there are times where the musical signal is remarkably similar to those brute force sine waves we use for testing. Pipe organ music, is one of these. A sustained organ note drives the amplifier much harder than typical music, almost like a sine wave. If you are interested, the following is a link to a pink noise file from Wikipedia.